Roisin is a co-founding member of ITMP which was formed in 1999. 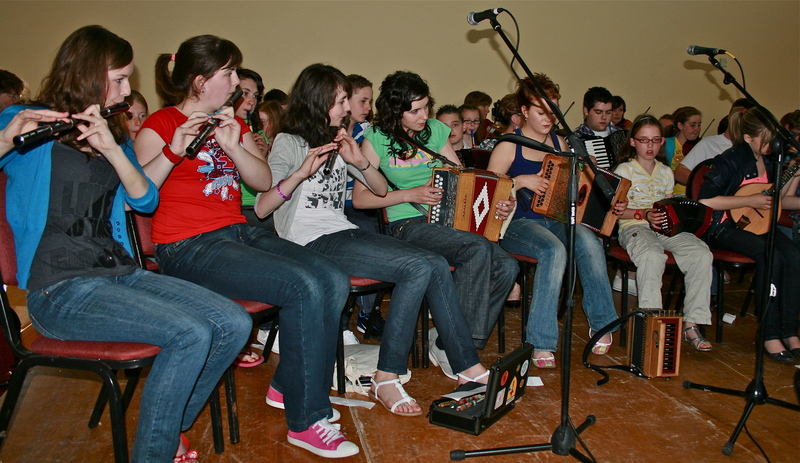 The project was set up to promote and preserve the traditional music of the Inishowen Peninsula, County Donegal, Ireland. The project is actively involved in archiving, recording and teaching traditional music in the Peninsula. Projects have included recording and releasing music from noted musicians in the area such as Seamus Grant and Dinny McLaughlin. Arc of Tides -Dinny McLaughlin also includes a 40 minute documentary film of the recording and a chronicle of Dinny's life. She works in a voluntary capacity in a variety of roles from workshop co-ordination, archive planning to grant applications.